Apparently it’s National Grilled Cheese Month, and today is National Grilled Cheese Sandwich Day. While some people may question the validity of this “holiday”, I say it’s my new favorite one to celebrate. Why are people not making a bigger deal about this? I’m talkin’ “Happy Grilled Cheese Day” cards, holiday parties, someone write a song about it, make a tradition where everyone only eats grilled cheeses all day. I think I’m really on to something. If anyone would like to join me in my efforts to make National Grilled Cheese Day 2015 one of the biggest holidays of the year, it would be greatly appreciated. Until then, I’ll just share with you one of my new favorite comfort food recipes in hopes that you’ll spread the Grilled Cheese Day joy. The special ingredient that makes this sandwich so delicious is white truffle oil. Nowadays, you can find truffle oil in most grocery stores or speciality food stores. While truffle oil is a bit pricey, it’s totally worth it in my opinion. A little bit goes a long way with this stuff, and it makes everything incredibly decadent. I decided to use mozzarella and fontina cheeses because they melt so perfectly. 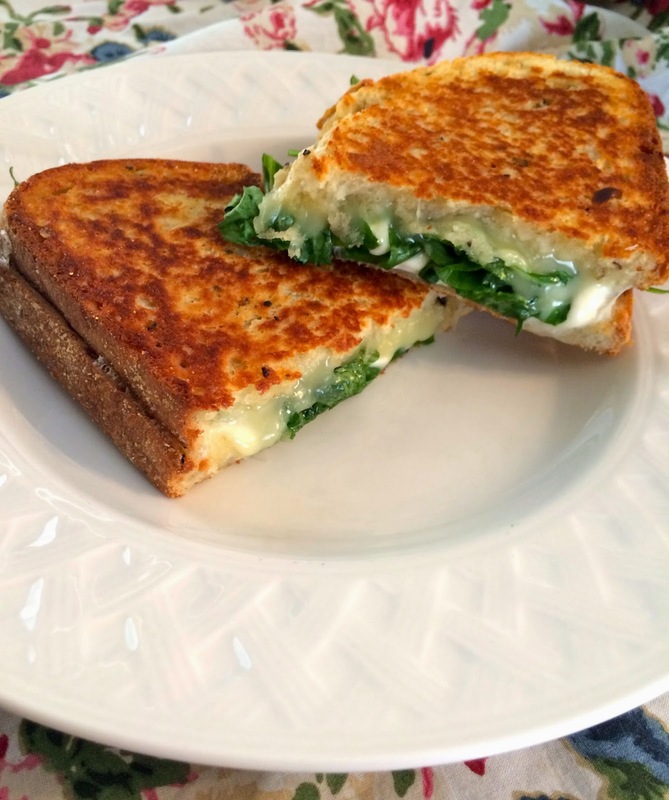 After biting through the crunchy buttery toast, you’ll find the gooey cheese just oozes out. Is your mouth watering yet? For the bread, you’ll want any Italian or French bread with a good crisp crust. The bakery’s special of the day was a black pepper and asiago french bread, so I went with that. 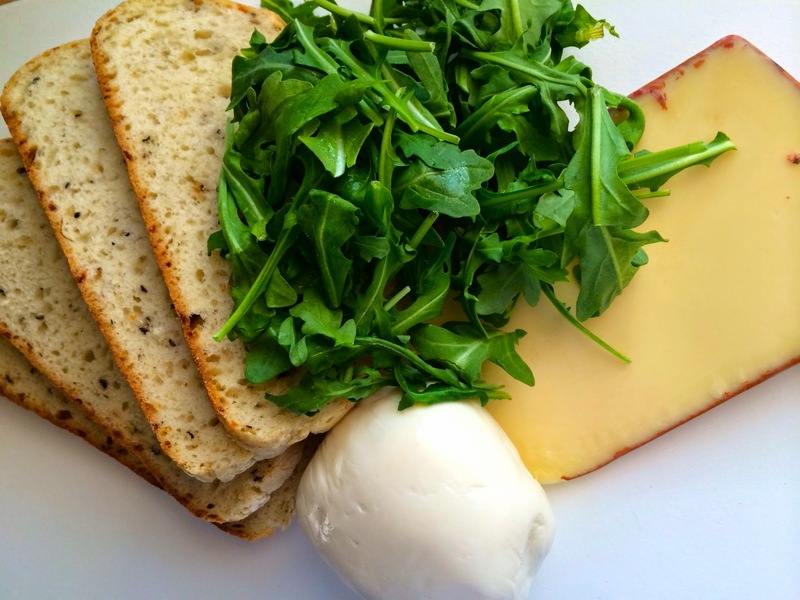 The peppery arugula, rich cheeses, and earthy truffle oil will make you forget this is a meal usually reserved for the kids. This sandwich is like a warm hug. Seriously. It takes America’s favorite comfort food up a notch, and is the ideal way to pay homage to your new favorite holiday. Happy Grilled Cheese Day! Spread 1/4 tblsp. of butter on one side of two slices of bread. On the un-buttered side of one slice of bread, drizzle 1 tsp of truffle oil. Place 3-4 slices of mozzarella on the oiled side of the bread. Pile 1/4 cup of arugula on top of the mozzarella. 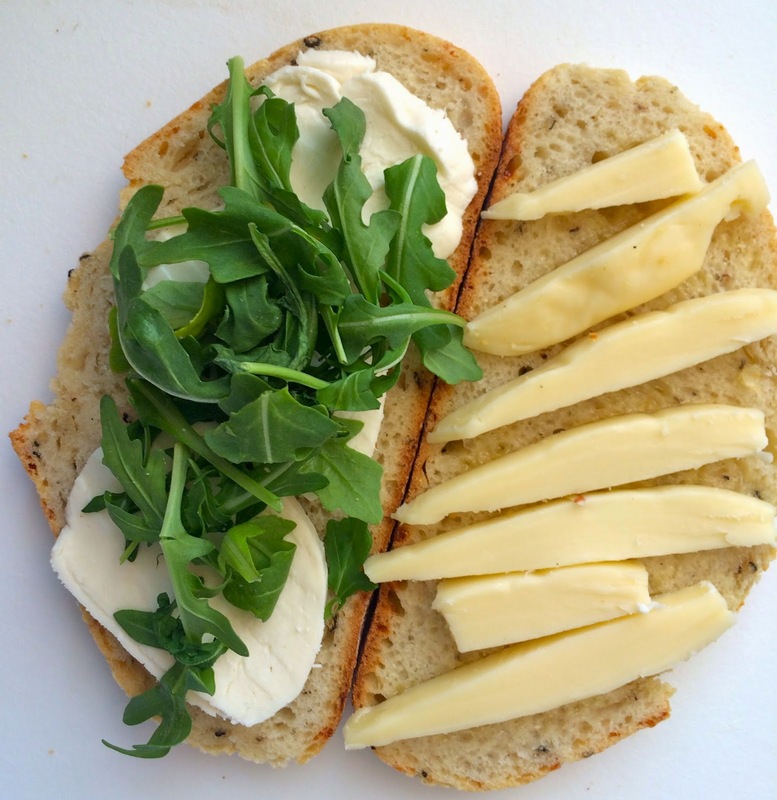 Place slices of fontina cheese on the other slice of bread, and sandwich the two pieces together. Place on skillet buttered-side down, and cook about 3 minutes on each side, or until the bread turns golden brown. Repeat the above steps for the remaining sandwiches, and enjoy!